But apparently academia is a little hazy on it. See the latest issue of AIA’s monthly Campus Report newsletter. 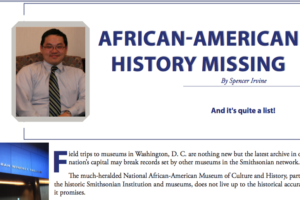 In the latest issue of Accuracy in Academia’s monthly Campus Report newsletter, Spencer Irvine shows us what is missing from Washington, D. C.’s newest museum. 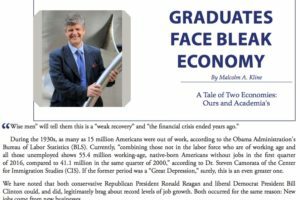 Elites can’t understand that Trump support may stem from unemployment. See the latest issue of Accuracy in Academia’s monthly Campus Report newsletter. They are going to need all the help they can get in this job market. 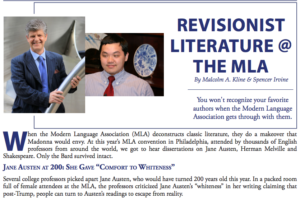 See the latest issue of Accuracy in Academia’s monthly Campus Report newsletter. 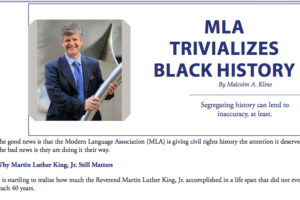 Commiserate with Accuracy in Media’s Cliff Kincaid as he takes his son on a tour of politically correct universities in the latest issue of Accuracy in Academia’s monthly Campus Report newsletter. 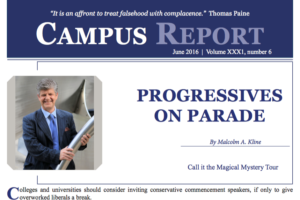 Find out which big names gave college graduates one more left-wing homily before they got their degrees in the latest issue of Accuracy in Academia’s monthly Campus Report newsletter. 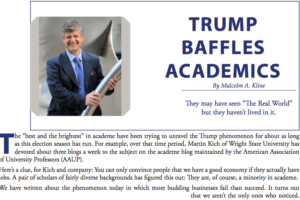 Meet some actual scholars, as opposed to the ones we usually get to cover, in the latest issue of Accuracy in Academia’s monthly Campus Report newsletter. 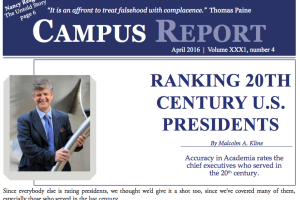 See how Accuracy in Academia ranks the commanders-in-chief in the April issue of AIA’s monthly Campus Report newsletter. 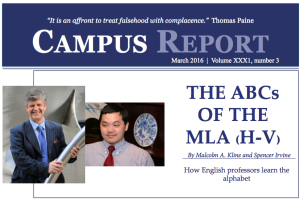 See how English professors interpret the rest of the alphabet in the latest issue of Accuracy in Academia’s monthly Campus Report newsletter.